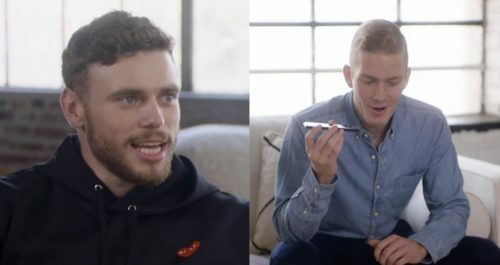 Gus Kenworthy helped a college student come out to his parents in a heart-warming video. As part of Ellen Degeneres’s web-series Fearless, hosted by model Ashley Graham, a college student named John said that he had already come out to his friends, but he was ready to take the next step with his parents. “It’s kinda just like always tiring to be pretending to be something else,” John said. He explained that he knew since he was in middle school that he was gay, and how relieved he was when he first started coming out to his friends. That’s when Graham told him that she had someone who knew what it was like to come out too: Olympic skier Gus Kenworthy. After talking a bit, Kenworthy and Graham stood nearby while John called his parents and came out. Well, it turns out that his parents were there, and… just have a box of tissues ready.